Our accommodation at Surfer's Point is the perfect setting for surfers who want to get away for a week or two from the hustle and bustle of the big cities and fast-pace living. This is an off the beaten track location! 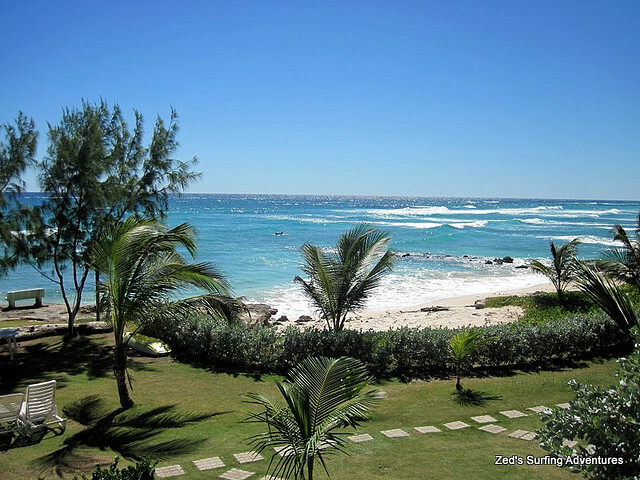 A stay at Surfers Point Guesthouse will revive you and bring you back to life as you relax in your ocean-front studio apartment, watching waves roll in from your patio hammock. We have four studio apartments looking at the ocean: Seacat, Conchshell, Driftwood and Almond Studio. 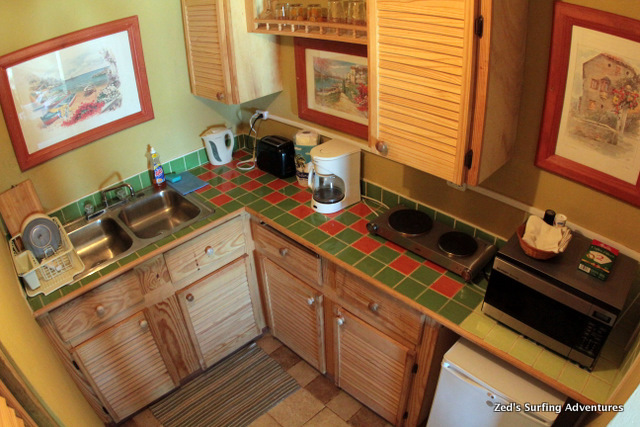 Each studio has a 2-burner electric stove; with the exception of Driftwood, which has a 4-burner gas stove and oven. 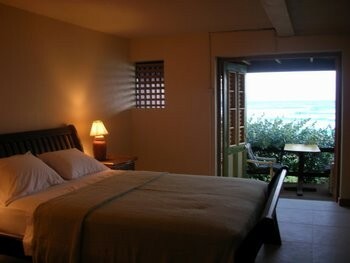 The beds are queen size and very comfy, and the rooms are all cooled by AC. Each apartment also has a TV and a DVD player, with a selection of DVDs available in both your room and the office. Surfboard rentals are available on our property or you may bring your own, but I am sure you will find what you need or something similar in our shop. Our staff can also help you with car rentals, transfers to and from the airport, baby-sitting services, and booking other activities on the island. We always have last minute specials and we offer 15% OFF if you book two months in advance your stay with us in May, June and September. We believe we have something special to share at Surfers Point. Over the years we have met many people, and we invite you to read what they have said about us on Tripadvisor, the best holiday reviews website on the planet.